Do you recall the most famous reindeer of all? Of course, we are talking about the one with the red-nose, the leader of the pack, the guy who saved Christmas...Rudolph! 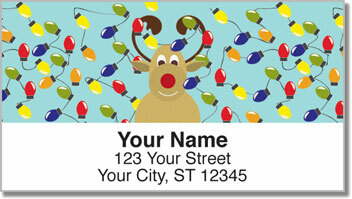 This fun-filled set of holiday address labels stars none other than the reindeer with the shiny nose (in fact, you might even say it glows). 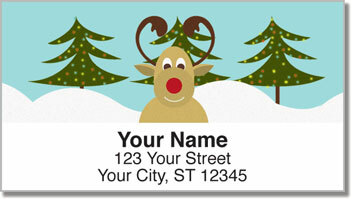 Rudolph the Red-nosed Reindeer is one of the most-beloved Christmas characters of all time. Stick him on all your greeting cards for a festive finishing touch. 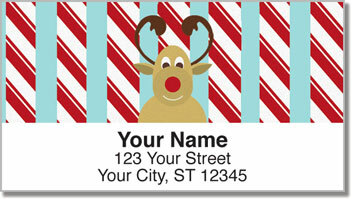 You'll save time during this busy season thanks to the convenient, self-adhesive backing on your new labels. They allow you to skip the step of writing out your return address. Instead - just stick it on! 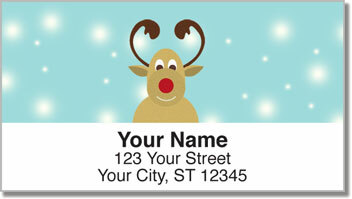 Order your own Rudolph Address Labels right now! Get them with a set of matching personal checks.